One of the toughest parts about the end of the year is keeping students engaged in all subjects up into the very end. I have found that it is often the most difficult to keep students engaged in normal literacy activities. They often have more energy and are more talkative at this point in the year. Since I have always taught literacy at the end of the day, and this makes it even more of a challenge to keep them engaged. Today I want to share some of my favorite end of year literacy activities, along with ideas that have worked wonders for me. My students love this activity so much. I partner up with a primary teacher (usually below 2nd grade), and my students read books to them one day a week. I do mini lessons on how to keep their buddy engaged, how to check for understanding, and how to ask questions as they read. We spend about 20 minutes reading the books that the buddies have checked out from the library. I love seeing my big old fifth graders reading to the little kids and being so patient and kind with them. This is by far one of my favorite end of year literacy activities (and also a great behavior motivation: if they don’t behave, they lose the opportunity to read with their buddy). 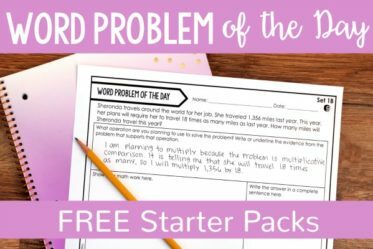 This activity doubles as a beginning of the year activity. I save the letters and put them on the desks of my next year’s students to read as their morning work during the first week of schools. Click here to grab the free letter template. Museum walks are often used for science and social studies projects, but I love doing these with books as well. The students can create posters, dioramas, trifolds, or dress up as a main character. Whatever they decide, their project should provide a sneak peek or trailer of the books. Have them create their projects at school or at home. Then have them spend at least a day practicing presenting their books to their classmates (perfect chance to work on speaking and listening skills). When the students are ready to present, invite another class or grade level in to view the “museum”. I recommend 2nd or 3rd graders. They are the perfect age for students to feel comfortable speaking to and they will be avid listeners. My favorite end of year activities are definitely those that are low to no prep. For these type of activities, I use my End of Year Literacy Activities for 5th Grade. 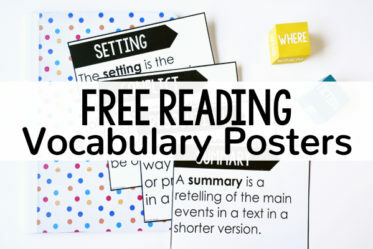 These are no fluff literacy activities but they are packaged with an engaging theme. In this printable activity, the students review conjunctions, prepositions, and interjections by writing a story with five of each. This is pretty challenging for them, and I love reading their stories. They have to be pretty creative to use all of the parts of speech and have it still make sense. This is another popular activity. The students create different figurative language phrases with memories from the school year. I also love reading these, and they make a perfect end of year memory bulletin board display. Point of view is still something my students need practice with right up until the end. They enjoy this activity that requires them to write announcements about the end of the year from the point of view of a student and a principal. I love reading what they think the principal would say in their announcements. Can you tell the common theme from these activities? Student creativity is required and I enjoy reading them! But, seriously, they are some of my favorite writing assignments to read. 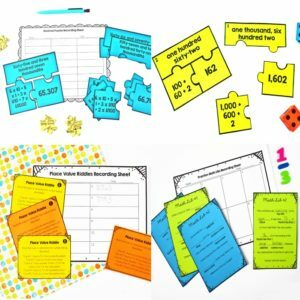 This resource has a total of fourteen different printable activities. Some we do together and some are independent. Depending on the group of students and how many interruptions we have in the last month, I usually only require a percentage of the activities to be completed. In that case, I let them choose which ones they want to complete. I keep track of it with this spreadsheet (included in the resource). My students always love choice and choice is also extremely motivating at this point in the year. 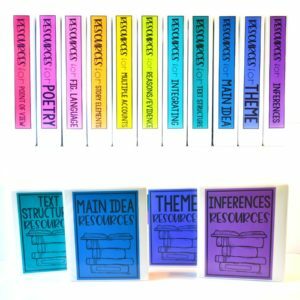 Click here to see these No Prep End of Year Literacy Activities in my TpT Store. I do still want my students doing lots of authentic reading the final month of school. To make it engaging (and keep them motivated), I usually do a lot more partner reading than at other times of the year. My students enjoy reading with partners and having the chance to talk about what they are reading. Allowing them do it more often is a win-win. They are engaged and motivated to read. 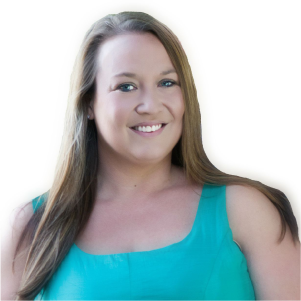 I do check in regularly with the partners for accountability. Read more about our partner reading and how you can easily start it up here. Another activity that we love is creating an A to Z booklet with memories of our time in fifth grade. This can be done whole class (with each student being assigned a letter) or individually (the pages can be zoomed down or printed two to a page to save paper). 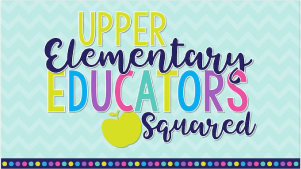 For this activity, the students use the letters of the alphabet to write about memories they have or skills they have learned during the school year. If you want to keep this more academic, you could require that it be all skills they have learned. Each page has a place for the students to write what the letter stands for and write a paragraph briefly describing the memory or topic. Under the text is a place for them to illustrate the memory or topic. I usually make them do all of the writing (and proofreading and editing) before they can illustrate. This helps to sure they get the content done. Click here to grab a FREE copy of the A to Z Memory Booklet. My students absolutely love plays and reader’s theater. The last month of school is the perfect time for them to engage in reader’s theater. My personal favorite scripts can be found on TpT from Eddie McPherson. In particular, I love the Civil War themed ones. His scripts allow me to incorporate literacy, social studies, and super high engagement. The scripts are also humorous and my students love them. We don’t do a big display with costumes and extreme props, but sometimes the students like to use simple props that the students make (often at home). We usually get through a few scripts in the last month of school. 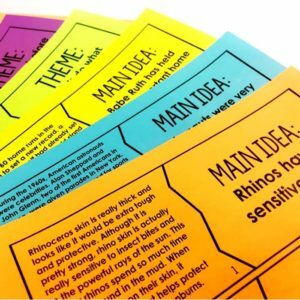 This activity is also great for practicing speaking skills and some of my reluctant readers usually thrive with this type of activity. Those are some of my favorite end of year literacy activities that I use each year with my students. Do you have any activities or ideas that you do each year and love? I would love to hear about them in the comments. 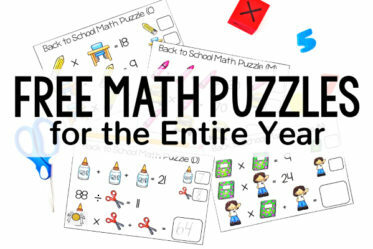 If you are interested in math end of year activities, click here to check out my favorite activities for ending the year in math.